New 16X16 gear box takes cues from joystick push button. 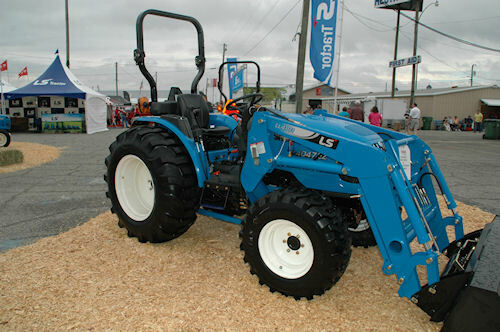 An automated mechanical transmission is the newest feature on LS Tractors USA's R-Series premium compact tractor line. The 16 X 16 gearbox features electrical controls from a joystick and can be shifted with the flick of the thumb, or operated (with the thumb button) as a shuttle for forward and reverse loading and lifting operations. The new transmission is an option to the company's regular 16 X 16 synchro-shuttle or three-range hydrostat transmission. The R-Series LS tractors are powered with a 4-cylinder Mitsubishi diesel engine rated 35 PTO horsepower with the mechanical transmissions and 33 hp. with the hydrostat. The R-Series comes standard with power steering, a 540 rpm rear PTO, and 9.5 gallons of fuel capacity. Options include a 2000 rpm mid PTO, a variety of tire choices, and loaders and backhoes. 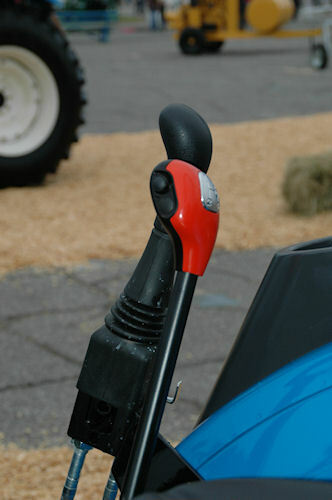 The "automated mechanical transmission" on the R-Series features forward and reverse shuttle operation as well as changes between gears with a thumb push-button which governs clutching.